Sikkim, bounded by daunting snow capped hills is a scenically blessed Indian State. Situated on the North Eastern region of India, the pictorial landscape of Sikkim has enthralled the mind of many travelers. Till 1975, Sikkim was it own quaint kingdom and the sign of its regal heritage can be seen in the ancient monuments like Buddhist Monasteries and ruins of castles which is dotting the scenic land of Sikkim. The view of sky scrapping Mt Khangchendzonga witnessed from most parts of Sikkim along with the heartwarming hospitality adds on to the aesthetic appeal of Sikkim. Sikkim has emerged as a favored holiday and honeymoon destination in North East India, so do not forget to book your Sikkim Tour Package. 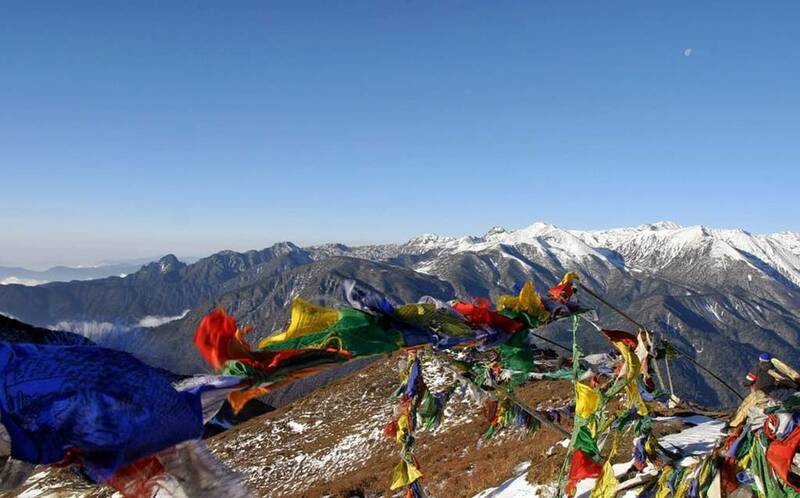 North Bengal Tourism offers you an exclusive range of budget friendly Tour Packages of Sikkim. Being a well-known destination there are many hotels in Gangtok. From budget hotels in Sikkim to deluxe hotels of Sikkim you can book through us. Save your time and money by availing exclusive services of North Bengal Tourism for booking Hotels in Sikkim. By Air: The nearest airport from Sikkim is Bagdogra. It is a 5 ½ hrs ride which can be covered by hiring a car from Bagdogra to Sikkim. The car rental facility of North Bengal Tourism provides affordable Bagdogra to Sikkim car fare. Distance: The distance between Bagdogra to Sikkim is 156 kilometers. By Rail: The nearest railway station from Sikkim is the New Jalpaiguri Railway Station (NJP). It is a 5hrs journey which can be covered by renting a car from NJP to Sikkim. North Bengal Tourism car rental facility offers budget friendly car fare between NJP to Sikkim. Distance: The distance between NJP to Sikkim is 149 kilometers.